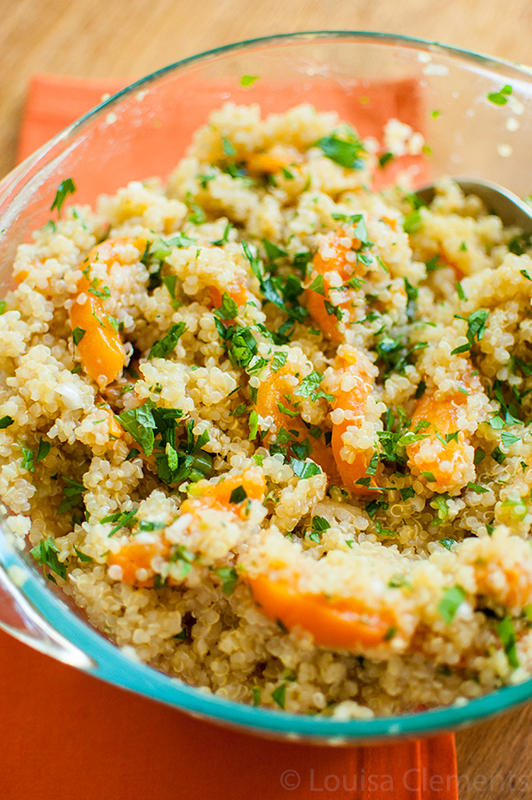 Ok, I know what you’re thinking – fresh apricots and quinoa? But hear me out. This quinoa salad is something special. I had it at a great Campbell’s event last week where we got to try seven delicious summer salads made with grains developed by Kelsey from the gorgeous food blog HappYolks. This was by far my favourite and I just had to make it and share it here because I am actually obsessed with this salad. The fresh apricots paired with the mint and then a tiny bit of spice from the jalapeno is such an amazingly fresh combination. I can’t think of another way to describe this salad other than a delightful fresh surprise. Now, I do have a soft spot for apricots. My grandparents live in Greece and I’m so lucky to have grown up spending the summers visiting them on the island of Kefalonia. (Here, here, here & here if you’re interested in reading more about my time in Greece). For the longest time there was an old apricot tree in the garden right next to the patio, it was my favourite shady spot to sit and read during those quiet and warm island mornings. You could just pick an apricot right off the tree for breakfast! Our crisper drawers in the fridge would be absolutely overflowing with apricots. It seemed like whenever you would eat one apricot, three more would spring up in its place. Unfortunately, that beautiful old apricot tree had to be cut down some years ago, and to this day, I always feel like there is something missing when I’m in the garden. Boy do I miss all those fresh apricots. So in a way this salad reminds me of those wonderful summers and sweet, juicy apricots. 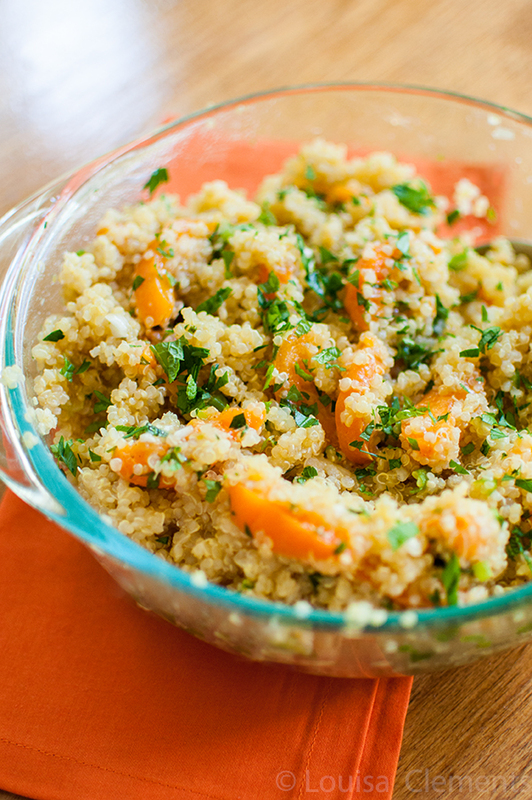 As you know, I only post recipes I develop on Living Lou so to get the recipe for Quinoa, Apricot, Jalapeno Mint Salad head on over to Cooking with Campbell’s. Disclaimer: This is not a sponsored post. 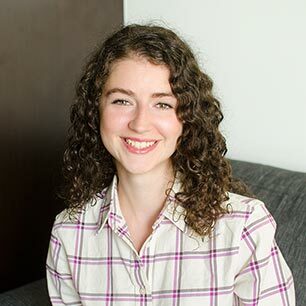 I was invited to an event by Campbell’s but the decision to write about my experience is completely my own. I just really love this recipe and wanted to share it with all of you. Thank you for your support! This is a beautiful recipe, Lou, and you've captured it perfectly in your photos. I am going to hop on over to the other site to get the recipe because you've left me all intrigued! I can imagine how wonderful it must have been to go and pick your breakfast from that apricot tree. I can almost taste the fruit with some creamy Greek yoghurt, honey and pistachio nuts. Oh, yummy! Thank you Helen! Now I'm craving yogurt, honey, pistachios and apricots! Let me know if you try this recipe, it's amazing. This looks incredible! I love quinoa anything so definitely must try this recipe! Thank you Lilli! Let me know if you give it a try, it's so fresh and delicious! Awwh sorry to hear about your grandparents' apricot tree! :( It sounded fabulous, eating freshly picked fruit for breakfast. I'm a big fan of the stuff too, and I can imagine how wonderfully they taste paired with jalapeño and mint. What a gorgeous salad! Thank you Consuelo! & I know, such a bummer about the tree, but that's life! Lou you didn't even have to explain your reasoning behind apricots and quinoa. I love mixing sweet and sour. This is such a great recipe, thanks for sharing! Hi Mariana, so glad we're on the same page about mixing sweet and sour. Let me know if you give this a try!